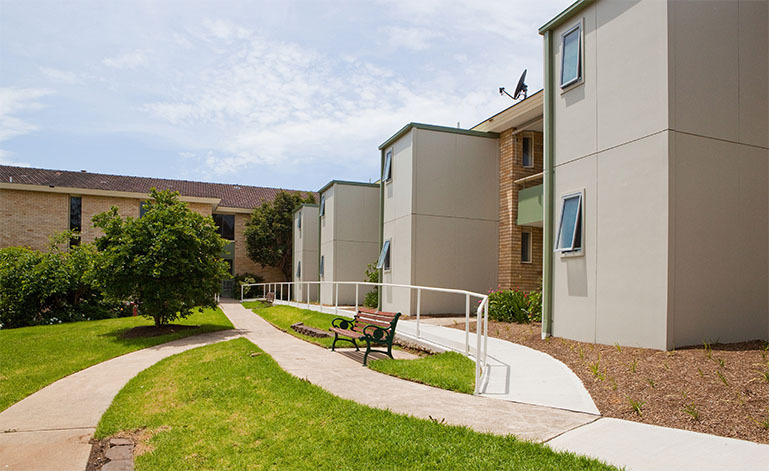 How do you transform a very tired but fully occupied, multi storey 49 year old aged care facility to meet current market expectations, improve the overall amenity and create individual ensuites for each resident? This was the dilemma faced by Grindley Interiors when they were engaged to undertake extensive renovations for ARV at Farrer Brown Court, Castle Hill NSW. 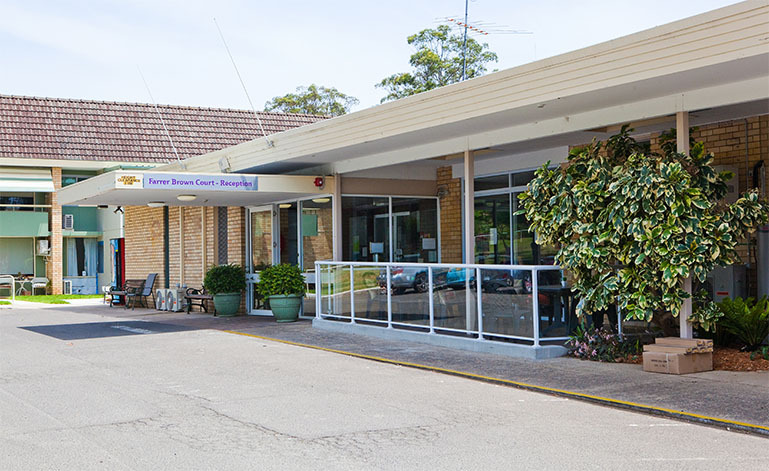 The significant renovation scope included transforming a shared ensuite facility to a 136 single room ensuite offering, upgrading all community spaces and re configuring some administration and retail areas, all whilst minimising disruption to the daily activities of staff, residents and their families. Part of the answer lay in modular innovation! In line with the architects design and specifications, a local bathroom pod manufacturer was engaged to construct 62 bespoke bathrooms pods offsite. The delivery of a prototype at the inception of the project allowed ARV’s operations team to resolve layout, dimensions and finishes in line with project intent and budget. Importantly, it offered the opportunity for residents to experience the new ensuite and to provide feedback to the team, resulting in pre-emptive adjustments to the design, thus minimising any abortive and expensive re design and re fabrication costs. Each alternate verandah was then reclaimed making room for the 62 bathroom pods to be “bolted” onto the outside of the building with all necessary penetration, finishes and services upgrades undertaken in clusters. The benefits of the modular solution were many fold. The pods were manufactured and fully fitted out locally which allowed for tight quality control and implementation of Australian codes and standards. The number of trades on site was reduced as was the overall construction program and the risk associated with inclement weather. Grindley Interiors were able to implement an tight and efficient works program taking an average of 15 rooms off line for a period of 3 weeks at a time, allowing ARV to maintain close to 90% occupancy throughout the program. The result of the project is a completely refreshed home sporting 62 brand new bathrooms and 75 renovated bathrooms, a new café and refurbished community areas with updated finishes and fittings throughout. An additional lift was installed to reduce travel distances and the original 1960’s lift was replaced. 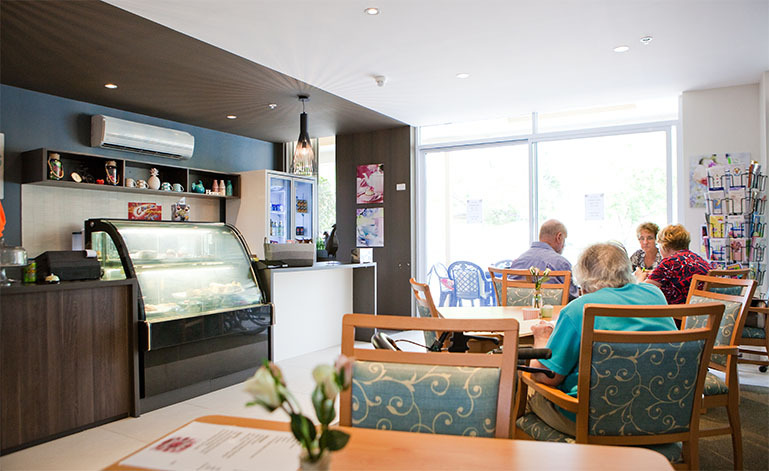 General Manager of Grindley Interiors Andrew Sanderson puts the success of the project down to a few key things… “It’s never easy building in an occupied aged care home. Collaboration, communication and cooperation were fundamental to the success of the project and it would not have been possible without the amazing commitment of the ARV team and the support of the residents of Farrer Brown Court, who would ultimately benefit from the upgrade”.